Nut milks are obviously very accessible these days. While 5-10 years ago you only found nut milks at Whole Foods or other niche stores, just about every major grocery store carries a large shelf of nut milk options. These are useful and I’ve often used boxed vanilla unsweetened almond milk in my Earl Gray tea or with baking. However, for making my veloutés and other soups I wanted something a little creamier than almond milk. 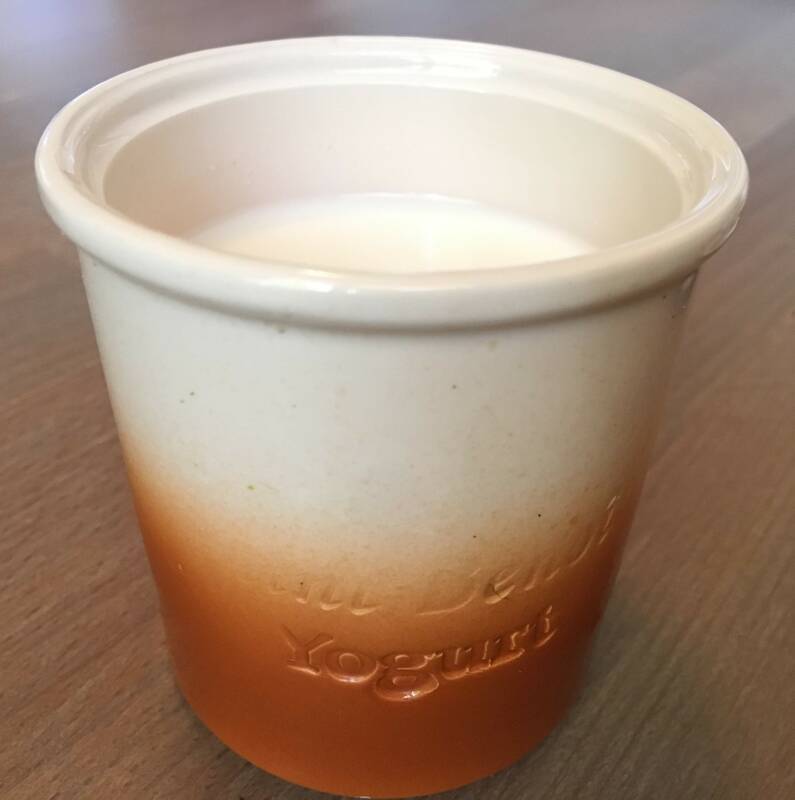 I became inspired to play around with my own recipe after reading some thoughts from Dr. Joel Fuhrman sharing his preference for homemade over commercial nut milks. Commercial nut milks often have fillers, preservatives, and synthetic vitamins added that most of us are better off without. Making your nut milk at home ensures that you know all of the goodness inside of it! You might be asking what the weird little cashew dish is that I’m using. Or you might have found me out: it had a former life as an egg cup. 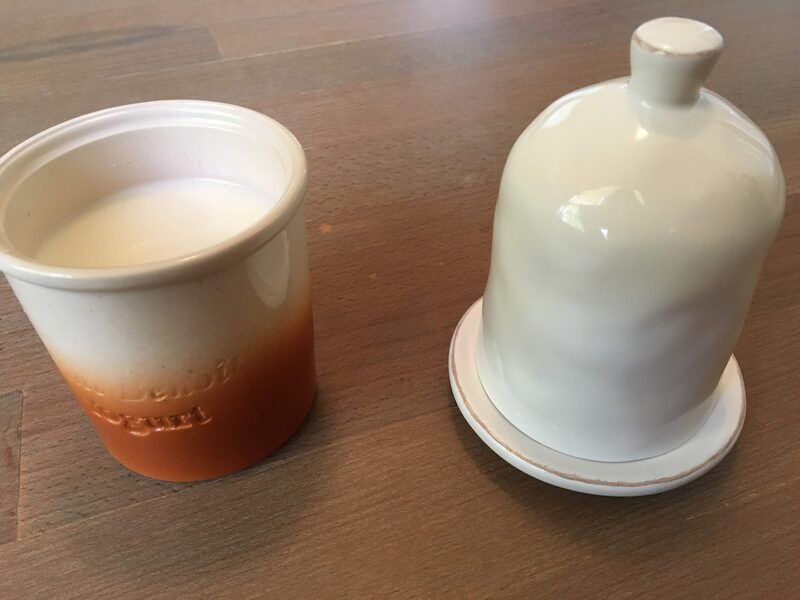 I picked 2 egg cups out when visiting the shop at Blenheim Palace outside of Oxford, England to bring home as a birthday / fantastic trip memory souvenir years ago. Though Ryan supported this whim, he also shook his head over my devotion to these silly things. I can’t explain it, but I love them. I stressed over flying them home from England to California. I then stressed about getting them from California to Georgia. I have not eaten eggs in years. But, I love these little cups! 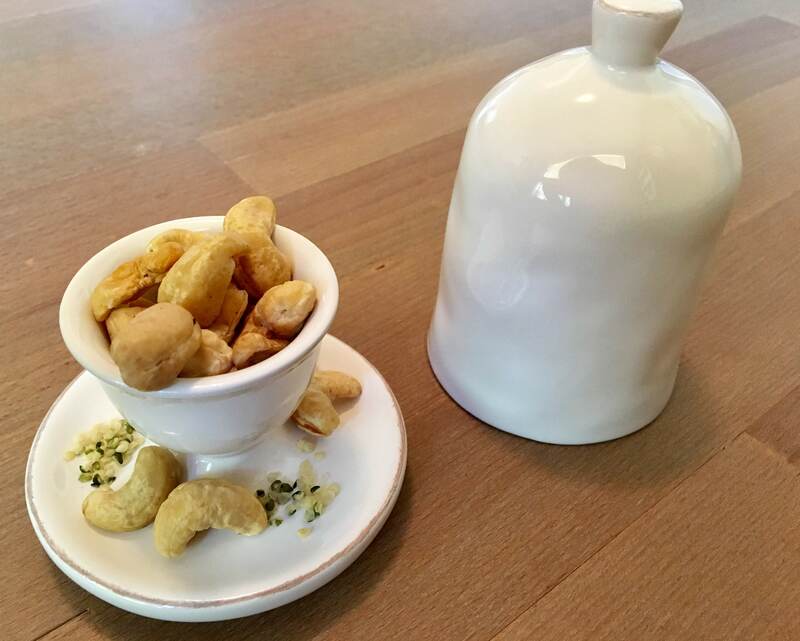 So, when thinking through how to best showcase this cashew-hemp nut milk, these caught my eye. If you think me ridiculous, I understand, but I still will find ways to proudly showcase them! Now, returning to the nut milk. Here’s a quick note: I don’t include straining the nut milk because, honestly, I don’t understand that! If you want the whole food, why would you strain out so much of the nut? 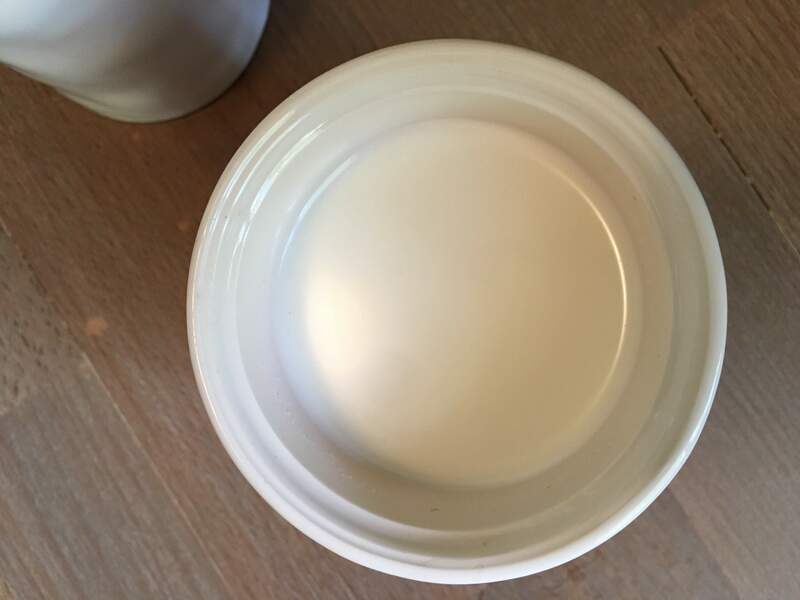 My perspective is: if you would like a lighter, more dilute nut milk, use more water. Also, the sediment does fall to the bottom so you don’t have to drink it. You can either enjoy it with a spoon afterwards or simply rinse it down the sink. However, I know some feel differently and may have a more discerning texture palate than me. If that is you, one extra step will be to strain this nut milk through a nut milk bag or cheesecloth to strain the “pulp” from the liquid. That all being said, there is absolutely nothing complicated about this nut milk recipe. Simple delicious ingredients, simple process, and you’ve got it on hand when you need it! Also, it’s delicious and creamy and lightly sweet with the cashew flavoring. I save it to add to recipes, but could easily drink an entire glass in one full swoop. It also has quite the healthy dose of protein and Omega 3 fats between the cashews and hemp seeds. 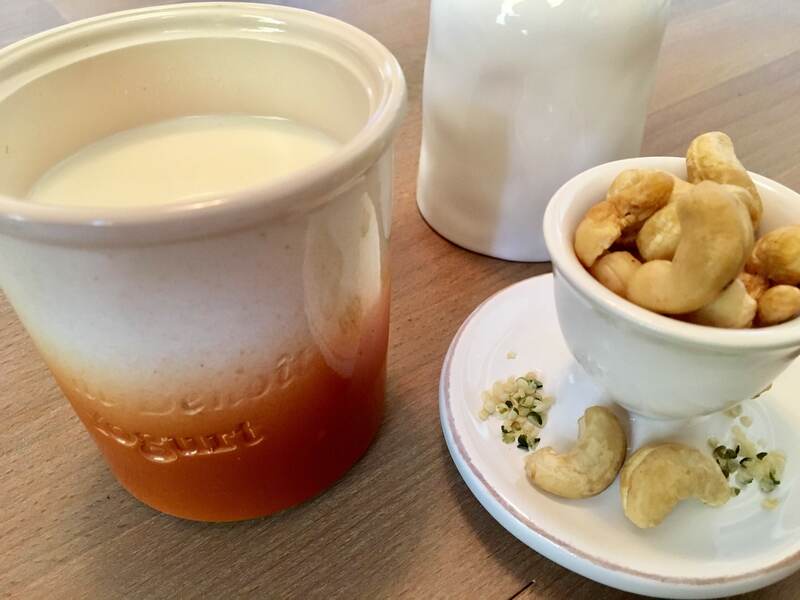 Without further adieu, enjoy your cashew-hemp milk! Cashew-Hemp Milk is a homemade nut milk that is the perfect slightly sweet, creamy base for velvety soups and smoothies. Place 1/4 raw cashews in warm water, cover with towel, and let soak on the countertop for 6 hours. Drain soaking water and rinse cashews once. Add cashews, hemp seeds, and 1 cup of water to a high-speed blender. Blend on high until mixture is smooth (1 minute or so). Add remaining 2 cups of water and blend on high. Taste the nut milk and add more water to your desired level of creaminess. Store in a lidded jar in the fridge. Serve warm or at room temperature. Will keep in fridge for approximately 3-5 days. I have not yet tried freezing this to use later. I do not see why that would not work well, though the texture may vary after being frozen.